Jesse seems to on a very slippery slope and I’m curious to see where it ends. 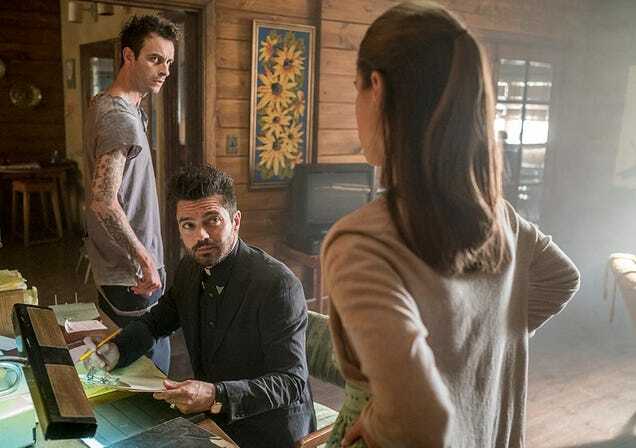 Welcome to the Preacher episode seven “He Gone” spoilerific reaction thread where you can share your thoughts on the show as it plays out or after it’s done. If you have a review of the show you want to share put it down in the comments and I’ll throw it up here. Warning: The question of the night is a spoiler so if you haven’t watched last weeks episode beware. Do you think Eugene’s done for? There are people preaching about spoilers down below, proceed with caution!! !